Broadway theatre-goers in 1956 were offered some rare and exciting treats. “The Reluctant Debutante” opened at Henry Miller’s Theatre. “Mr. Wonderful,” showcased the talented Sammy Davis Jr. It opened at The Broadway Theater. “Shangri-La,” based on the 1933 book by the same name, opened at the Winter Garden Theatre. Excellent shows, every one of them. 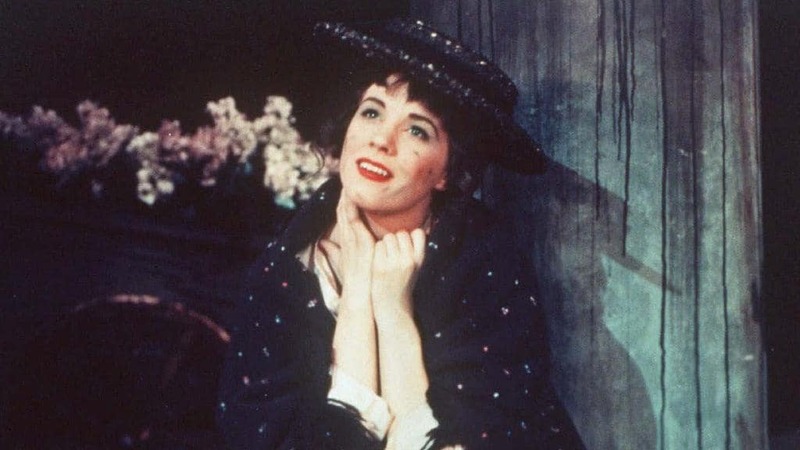 However, if you bought a ticket to see one of the above in the summer of 1956, it was your backup choice, because “My Fair Lady” was sold out. A sensation with a capital “S,” this adaptation of “Pygmalion” created generations of fans for Rex Harrison and Julie Andrews in the roles of Professor Henry Higgins and Eliza Doolittle respectively. Later, of course, the movie version was made, with Audrey Hepburn replacing Andrews (much to the latter’s chagrin) in the role of the flower girl turned lady with the help of an autocratic linguist. In the 62 years hence, “My Fair Lady” has been called “the perfect musical,” beloved by tens of millions. A staple of community theaters everywhere, the lyrics of “Just You Wait,” and “Wouldn’t it Be Loverly,” are standards of the genre. Tacoma Musical Playhouse opened the show this weekend in front of capacity houses. The cast responded to the love they received from the assembled patrons of the arts, and a smash hit was reborn. The mega-talented Leischen Moore is Eliza Doolittle in the TMP production. In real life, Ms. Moore teaches music. Boy, are her students the lucky ones. One of the most difficult tasks in community theater is to sing on-key while accurately constructing an accent. As Eliza, Leischen Moore nails the Cockney dialect while hitting an astounding range of notes with ease and grace. Displaying just the right measures of vulnerable and plucky, she elicits sympathy from the crowd, then delights them when she “gets some of her own” as Higgins’ foil. Director Jon Douglas Rake made a superb casting decision for his Eliza. Local favorite Jonathan Bill plays Higgins. Blessed with one of the great speaking voices in local theater, Bill is more than that. His Professor Higgins tosses autocratic asides, showing his inner oaf to the audience. Higgins isn’t evil. But, he is dismissive, and no one in local theater plays dismissive any better than Jonathan Bill. He plays off of Moore’s Doolittle very well but is perhaps even better in his interaction with Gary Chambers’ Colonel Pickering. One hesitates to say that anyone is better than Rex Harrison (Good God, man. Are you mad? ), but Jonathan Bill can do one thing better than Harrison. The Broadway show was written so Harrison could mostly talk his songs because he wasn’t much of a singer. Jonathan Bill can sing! Robert Coote played Colonel Pickering on Broadway. Gary Chambers is better than Robert Coote. There, we said it! In the original, Colonel Pickering is ineffectual and powerless. He’s kind of a capeless Robin to Higgins’ Batman. In TMP’s My Fair Lady, Chambers puts some vitality in the role. He is at his best when worrying about Eliza’s performance at her Embassy Ball coming-out party. He tosses down more than his share of tawny port and slowly descends into a puddle of concern. Mr. Chambers adds three dimensions to a role that can fade into the wallpaper. During the casting process, Chambers read for both Pickering and Alfred P. Doolittle. Again, the casting decision-makers were on their game, because Andrew Fry chews the scenery as Eliza’s ne’er do well Dad. One of the area’s finest character actors, Fry makes the audience root for him, in spite of Doolittle having almost no socially redeeming qualities. That’s a function of Andrew Fry’s natural ebullience for his craft. During one song and dance sequence, he performs a somersault. It’s a magnificent display of athleticism by a middle-aged man. One wonders if he has a cartwheel in him? Standing out from his role as an ensemble member is Colin Briskey as Freddie Eynsforth-Hill. Poor Freddie is lovesick for Eliza, but without the common sense to be able to woo her. Who spends night after night across the street from the object of his affection? Freddie, get a job! Colin Briskey is a young actor on the rise and a singer of note. The beautiful Tacoma Musical Playhouse theater was packed for Opening Night and equally as jammed Saturday. Partly, that’s because the play is a favorite, but the reputation earned by TMP is in play, as well. Bruce Hassl built a solid and impressive set. The orchestra soared (Who doesn’t love a good overture?) Jocelyn Fowler and her crew dressed the actors beautifully. It’s professional show, put on by actors who love their job and support staff that knows their business. Was there a glitch? Yes, but just one. During the reprise to “With a Little Bit of Luck” in the first act, the ensemble stutter-stepped into the song. Doubtless, though, a word of direction and that will come off without a hitch in future performances. One final bouquet to Mr. Rake and a choice he made. In the original, the show ends on a note that would be discordant to a 2018 audience who believes in equality between the sexes. In this show, Mr. Higgins and Ms. Doolittle close the show on a much more palatable note. It didn’t go unnoticed. The South Sound theater smorgasbord is loaded with variety. Drama, comedy, out-of-the-box. One can enjoy it all in our part of the world. That said, there will forever and always be a place for classic musical entertainment. This cast and this crew make TMP’s “My Fair Lady” a destination over the next month. 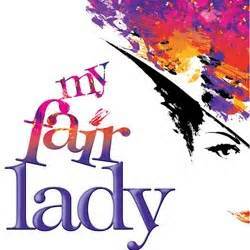 My Fair Lady,” adapted from George Bernard Shaw’s play and Gabriel Pascal’s movie “Pygmalion.” Tacoma Musical Playhouse, 7116 6th Ave. 98406. Fri-Sat 7:30 pm, Sun. 2 pm, Sat. June 2 and 9 2 pm. through June 10. Tickets tmp.org/index.php/order-tickets/ Info: tmp.org, or 253-565-6867.